Never Enough Nails: Lynnderella Vol. 40, Cyantific Method! I am so late with this post, but technically it's still Friday! Good thing too, because this polish is STUNNING!!! 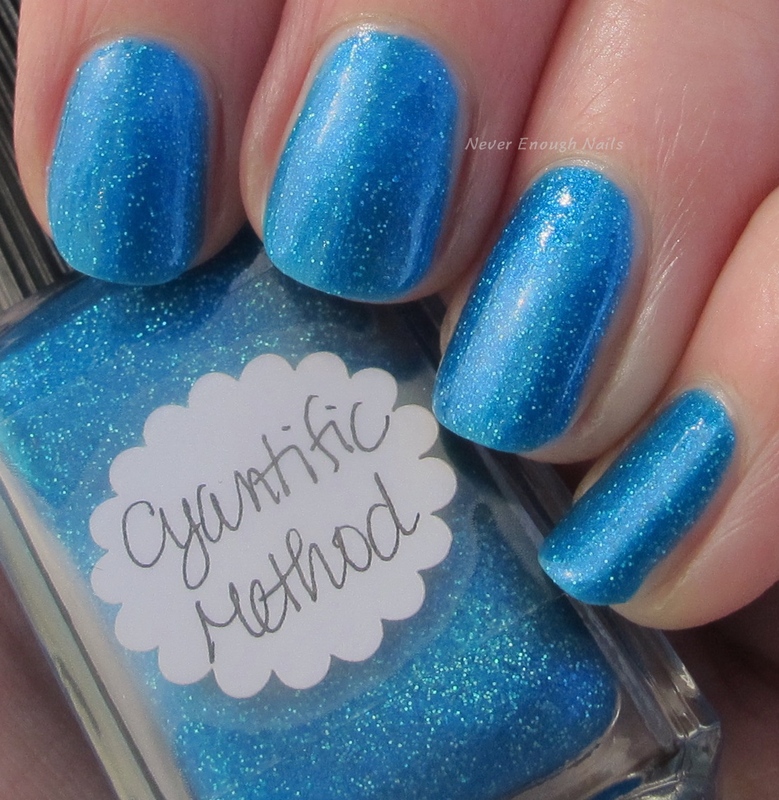 Lynnderella Cyantific Method is my new favorite LE, a gorgeous deep pool blue shimmer with aqua holo microglitter. 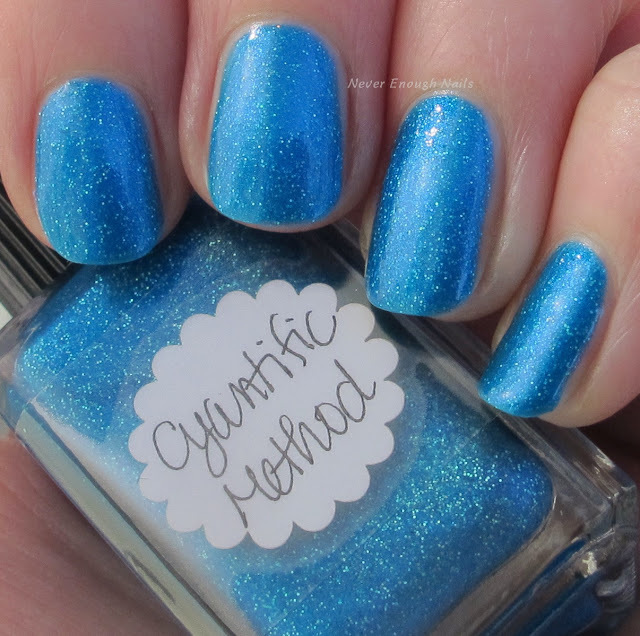 When I was little, my favorite crayon color was cerulean and this gorgeous polish reminds me of my beloved cerulean crayon! 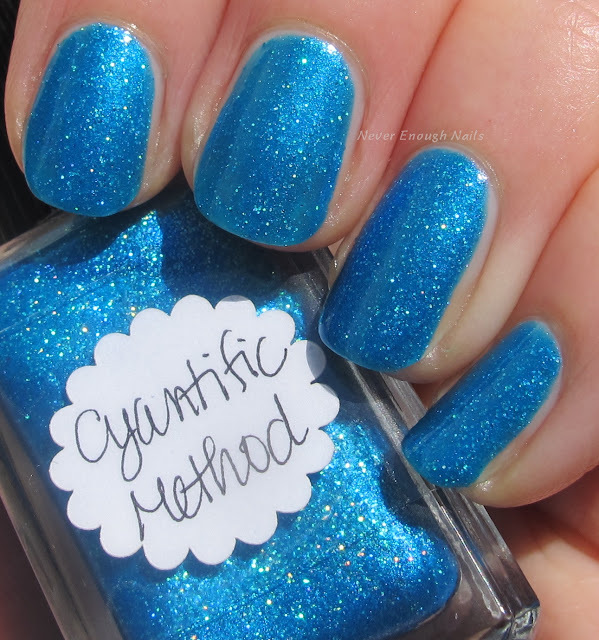 Lynnderella describes this as a "multishimmered cyan shimmerella with aqua holographic microglitter". I love the name shimmerella, so cute!! Best part of this polish? This is two flawlessly easy coats, no clean up necessary! It's lovely and opaque in two coats and the consistency was perfect. A++ formula! With one layer of top coat, it's smooth and glossy to the touch. 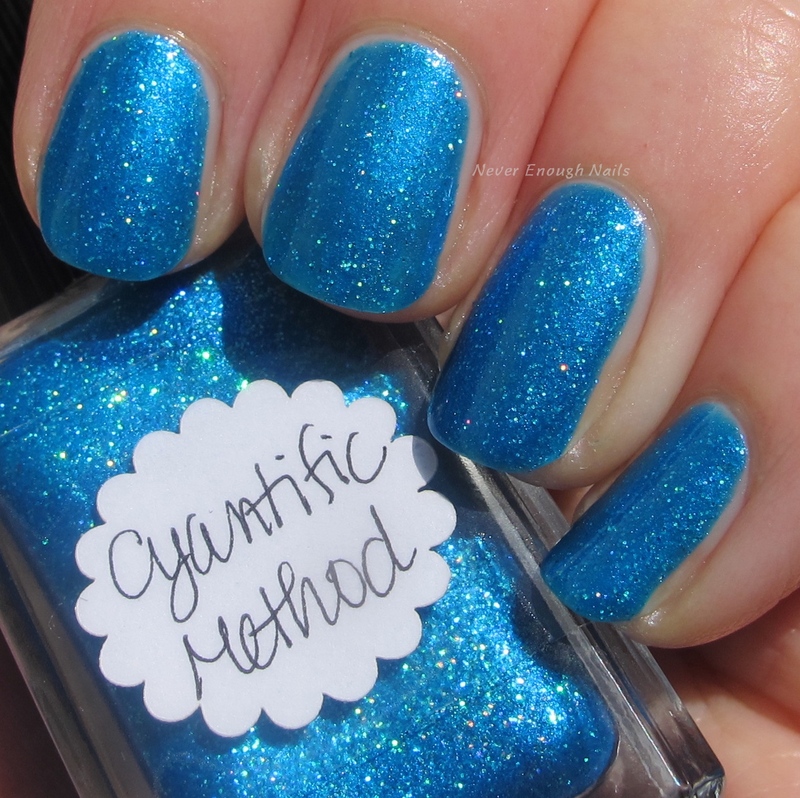 Lynnderella Cyantific Method is available now on lynnderella.com.